* Greater emphasis on areas of particular difficulty for learners of Spanish, such as tense usage, ser and estar and the reflective. 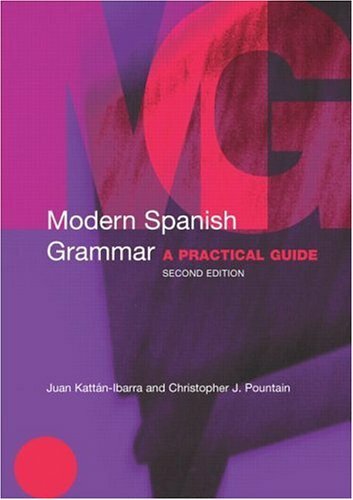 This is the ideal reference grammar for learners of Spanish at all levels, from elementary to advanced. No prior knowledge of grammatical terminology is assumed and a glossary of grammatical terms is provided. Шикарный учебник, очень много полезного,интересного и преподнесено все грамотно! спасибо огромное тому, кто выложил!! !